Umra, Xol Spawn is a Major Hive Wizard encountered in The Abomination Heist as a mini boss as part of the Hive variant of the Strike. Umra spawns in The Gatehouse after two of the three Hive Runes have been decoded by a Guardians Ghost. Guardians must kill her in order for the final rune to be unlocked. 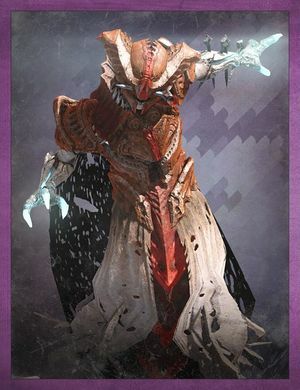 She is a replacement of Mormu, Xol Spawn from the original The Summoning Pits.